At Crews Painting Management Inc., we specialize in new construction work and historical restorations for older homes. We are located in Saugerties, New York, and work with homeowners and businesses throughout the Hudson Valley region. Our company provides contractors with stock prices for all phases of work, from square foot prices for drywall installation, taping, and painting; linear foot prices for trim and moldings; and unit prices for windows and doors. All of our work is top notch with 100% satisfaction guaranteed in every contract. Commercial projects are welcomed. Crews Painting Management Inc. takes pride in our refinished floor projects, whether it's a new construction or a 200-year-old floor. We take the necessary steps to insure a high-quality finish. 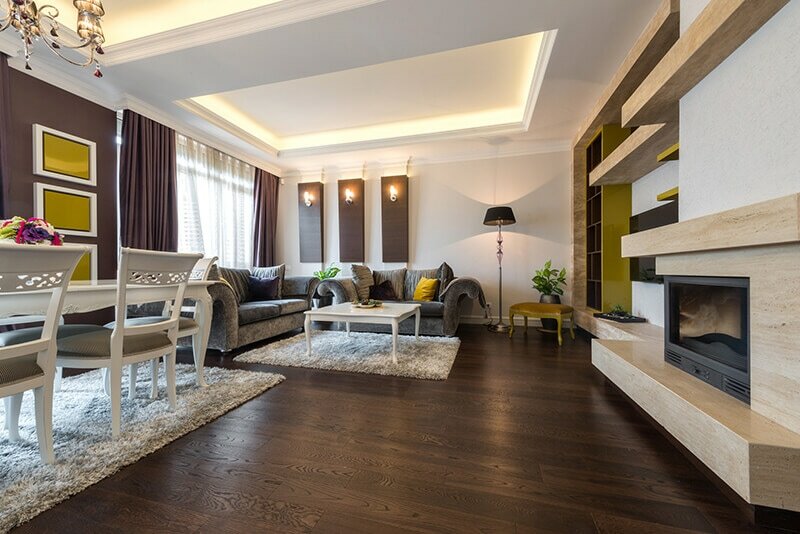 Our company works with a variety of floor products to suit any needs and desires, from oil stains and polyurethanes to lighter-duty and more environmentally friendly products. A vital part of doing historical restoration work is the ability to properly restore plaster. This involves the removal and cleanup of all old crumbling plaster, including treating and repairing the lath underneath to properly accept new plaster, applying a base coat of Structolyte™ to fill in the voids, and finishing with the desired top coat, such as a smooth plaster or texturing. It is important that each step be allowed to dry properly to accept the next layer of product. Although it can be messy and difficult, we enjoy this work very much for the finished product. Once painted, a restored plaster wall looks beautiful. Questions? Comments? Please do not hesitate to email or call...!! Dutchess County, Rhinebeck, Red Hook, Rhinecliff, Millbrook, Amenia, Pine Plains, Dover, Wingdale, Brewster, Wappingers Falls, Poughkeepsie, East Fishkill, Hopewell Junction, LaGrangeville, Salt Point, Pleasant Valley, Staatsburg, Hyde Park, Ulster County Townships including Woodstock, New Paltz, Kingston, Dutchess, Poughkeepsie, Fishkill, Hopewell Junction, LaGrangeville and Surrounding Areas.